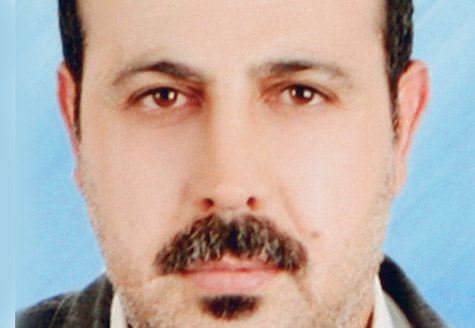 Dubai/Abu Dhabi: Dubai Police has not yet asked US authorities for assistance in the investigation into the assassination of Hamas commander Mahmoud Al Mabhouh. The Central Bank is the only body that has contacted the banks used by the assassins, the police chief said. Lieutenant General Dahi Khalfan Tamim said the United States had "no responsibility or involvement" in the assassination of Al Mabhouh in Dubai on January 19, and that no US authority has been contacted for assistance. "The Central Bank is the relevant authority and only body that we have contacted with regard to the cards and their source of funding," he said, referring to the payment cards used by the suspected assassins. Lt Gen Dahi confirmed that two of the suspects, Roy Allan Cannon and Evan Dennings, entered the United States following the assassination. Cannon entered the US on February 14 and Dennings two days after Al Mabhouh's death, on January 21. He said that the information was not released earlier because it had not been confirmed. Lt Gen Dahi added that he did not know if the two suspects remained in the country, but said that "most" of the suspects had gone to Israel. Bill Carter, a spokesperson for the US Federal Bureau of Investigation [FBI], said that the US had no jurisdiction over crimes that were committed in the UAE and therefore had "no reason" to investigate the matter. "The incident did not take place in the US and to my knowledge did not involve American citizens," he said, adding that an investigation would only start as a result of an official request from the UAE. He declined to say whether a request had been submitted. The Central Bank, said Lt Gen Dahi, has enquired with the "issuers of the cards" about the source of the funds but has not had any response from them so far. "If we do not get a convincing response from them, I will request a red notice and a black notice for the institutions, as well as a UAE ban on the use of cards issued by them," he said. An Interpol red notice requests the arrest of wanted persons with a view to extradition while a black notice seeks information on unidentified bodies. A Central Bank source familiar with the investigation confirmed to Gulf News that the bank is in contact with "the issuers of the cards" to determine the identities of the cardholders and the sources of their funds. He said that information that has been passed on to investigators in Dubai indicates that the cards were only used at retail outlets and restaurants in the UAE but not in any banks. "Cooperation with Dubai is ongoing in this investigation, especially with matters pertaining to financial fraud and counter-terrorism," he said. According to information released by Dubai Police, some of the cards used by the suspects were prepaid Meta Bank MasterCards, which are issued by Payoneer, a US based company that specialises in prepaid debit cards targeted to internet shoppers. The cards function like credit cards but can be used as an alternative in that they are topped up with funds beforehand. The Payoneer connection unveils a network of links to Israel, specifically its intelligence community. Its CEO is Yuval Tal, an Israeli citizen who, according to media reports, described himself as a former Israeli special forces commando in a 2006 Fox News interview. Clips of the interview on video sharing websites have been removed. However, a person who said he met Tal a couple of times but did not want to be named told Gulf News that "there is no question in my mind that Yuval has contacts with [Israel's spy agency] Mossad". He recalled a conversation Tal had with attendees of a Jewish charity event in New York, where he spoke of his connections with Mossad. "Yuval was entertaining a small group of people with tales of his IDF [Israeli Defence Forces] exploits… Specifically, he was commending Israeli intelligence and how Mossad and [Israel's internal security agency] Shin Bet always gave him great information on his commando raids. He said his ‘colleagues' are tracking [Hamas leaders Khaled] Mesha'al and [Esmail] Haniyeh's movements almost every day," he said. Payoneer is held by three venture capital firms: Greylock Partners, Carmel Ventures, and Crossbar Capital. Greylock, which has offices in the US, India and Herzliya, Israel, was established by Moshe Mor, a former military intelligence captain in the Israeli army. Carmel Ventures is an Israeli venture capital fund based in Herzliya. Crossbar Partners is run by Charlie Federman, who is also managing director of the BRM Group, a venture capital fund also in Herzliya that was founded by Nir and Eli Barkat, the former of whom is the mayor of occupied Jerusalem.